Redbank Battlefield in National Park, New Jersey is a beautiful location set along the Delaware River. 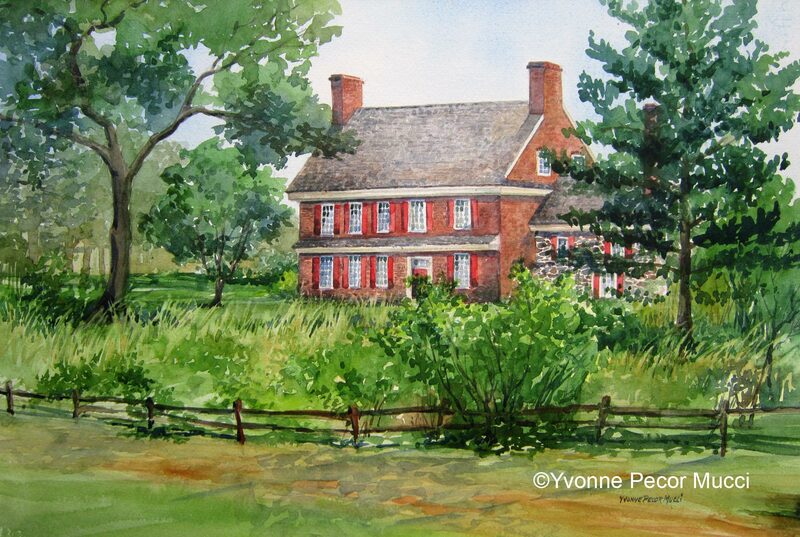 I often come and paint the Ann Whitall house en plein air. ©Yvonne Pecor Mucci All rights reserved. 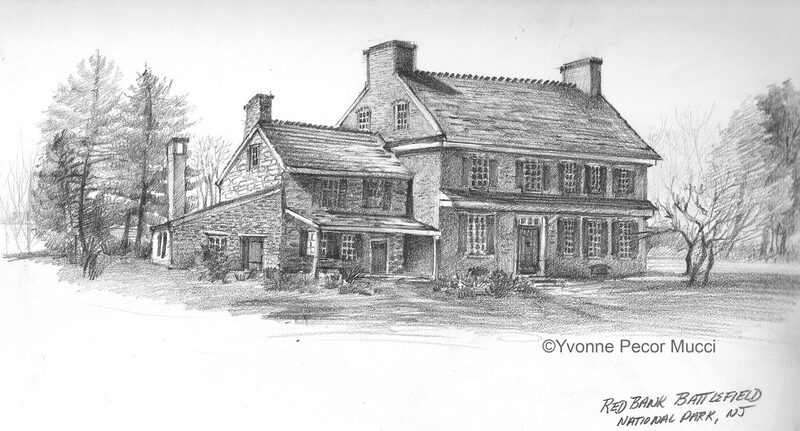 The Ann Whitall house is an 18th century historic house at Red Bank Battlefield Park, located on the Delaware River. 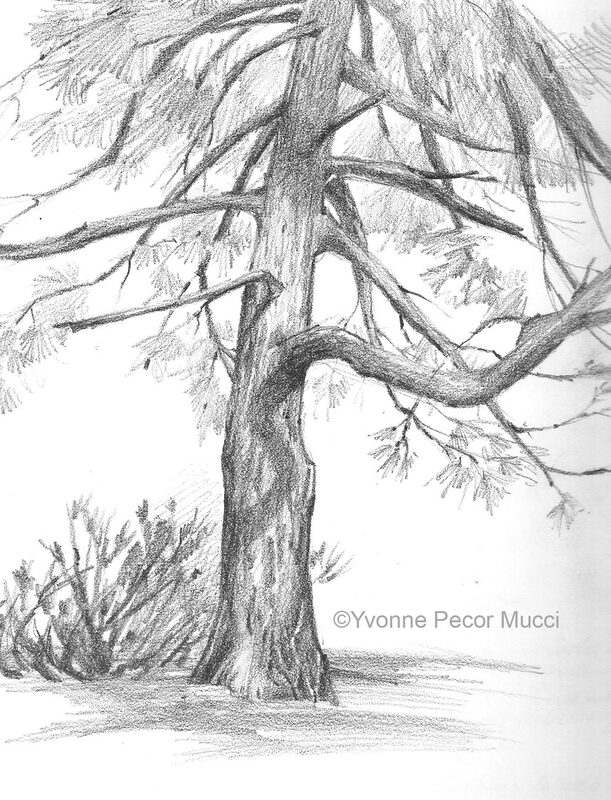 The pine tree and back of the house were sketched on one of the first nice days in early spring. In spite of the wet spring and summer season I participated in a one-day plein air competition here and chose to paint the river view of the house. I brought my extra-large beach umbrella thinking it would shade me from too much sun. The umbrella saved me and my painting from the two unexpected torrential rain showers. You just have to laugh and go with it, because it was still a great day to be outside painting. Thanks to the Gloucester County Cultural and Heritage Commission, they really did a nice job with this event. Click on any sketch or painting to enlarge.